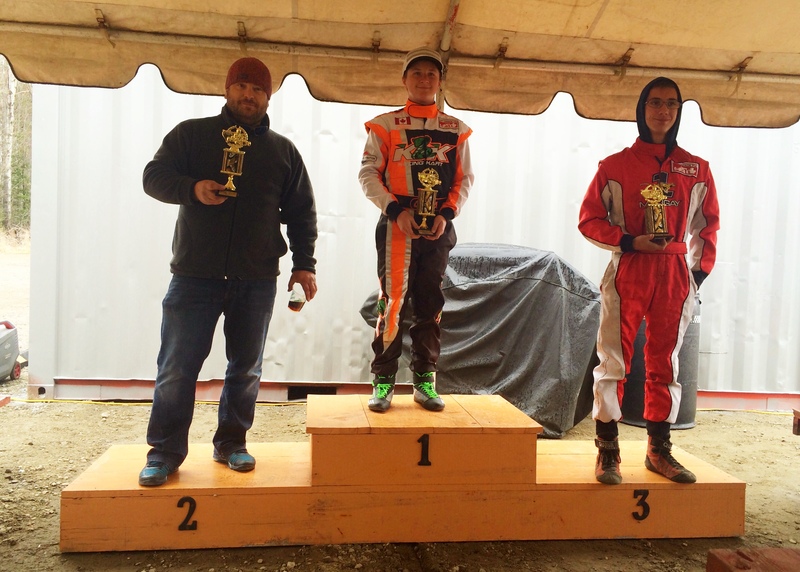 (Quyon, QC) What a great weekend for the inaugural race of the 2016 Ottawa-Gatineau Karting Championship! Saturday’s Test & Tune sessions were very well attended, with over 20 racers taking to the track at Le Circuit Quyon over the course of the day to prepare for Sunday’s main event. It was sunny and warm, hitting a high of 18C – we couldn’t have asked for a better way to close out April! Sunday was a different story – overcast and threatening rain, with a temperature hovering in the 7C zone for most of the day’s sessions; however, there were still 23 racers that braved the inclement weather to participate in Race #1 of the championship! Luckily, the rain held off until the end of event, with only a very light drizzle starting halfway through the final race of the day – the OGKC Rental Kart Challenge. For those of you not familiar with the championship, the OGKC is a karting series with events held primarily in Canada’s Capital Region; run by racers, for racers – making sure that everyone has fun, makes friends, and enjoys the racing experience. The 2016 edition of the OGKC series is also part of the Briggs & Stratton Weekly Racing Series (BriggsWRS), a track-based series enabling Junior, Senior, and Masters competitors to race head-to-head for the BriggsWRS regional crown. Racers are required to participate in eight (8) races at the same BriggsWRS-affiliated track/club, with the top seven (7) results counted toward the overall championship. Eleven tracks in Canada are participating – may the best karters win! For eligible Canadian tracks and clubs, please visit the BriggsWRS site. The official classes raced were all Briggs & Stratton categories: Junior, Senior, and Masters. 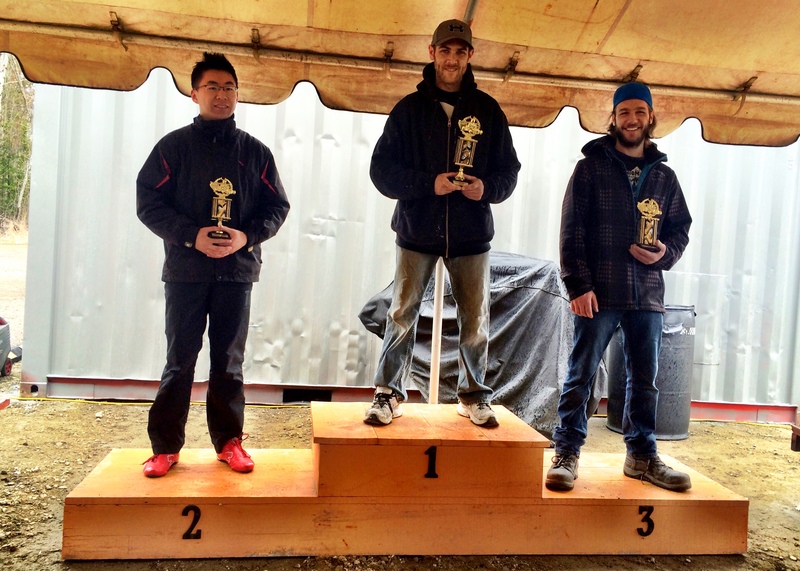 In addition, the first race of the OGKC Rental Kart Challenge was held on Sunday. The Junior category was hotly contested, with Montréal racer William Chayer in his K&K kart consistently putting in the fastest laps over the course of the event to take home first place in the Final by over 10 seconds. 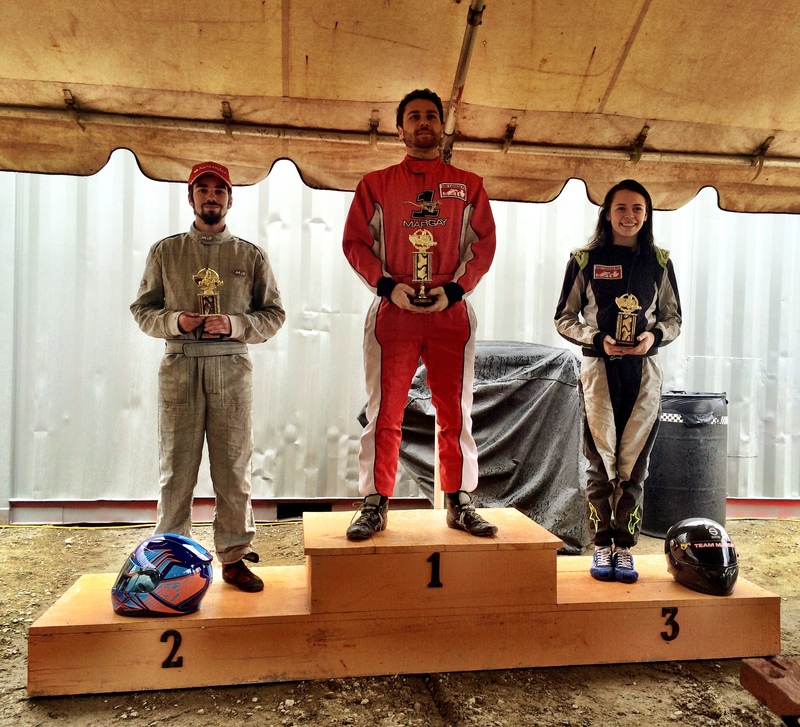 Great racing William – we hope to see you at other OGKC events this season! Michael Forget, last year’s OGKC Senior champion, was back on form in the Race #1 Final. Michael fought with rising star Brandon Stephens for most of the race, and successfully crossed the line first by only 2/10ths of a second. Jamie Hynes had a great race – consistent and fast! This competitive race is certainly a sign that the championship will be up for grabs this year! Mike Forget led start to finish, but was hounded throughout the event by Phil Hall, Brian McCracken, and Crawford Kilpatrick. 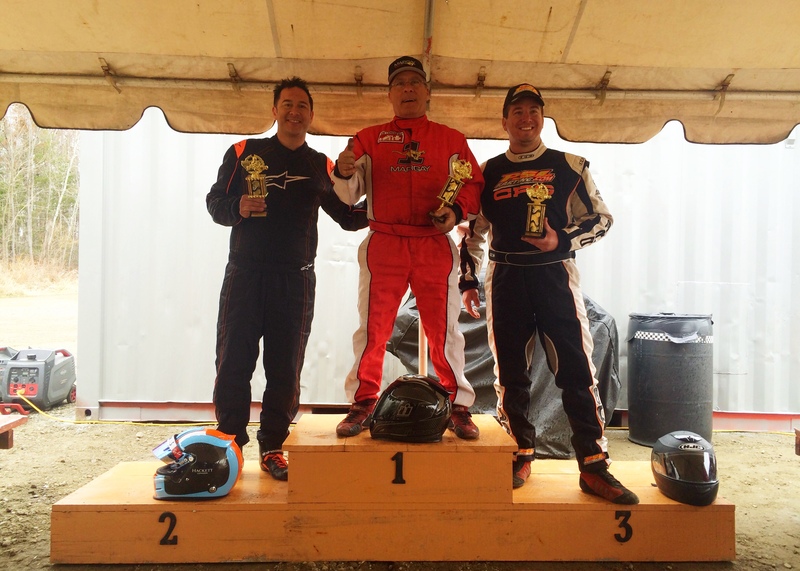 As the race progressed, Crawford’s kart came alive and he made daring passes on both Brian and Phil to steal 2nd place. As the race wound down, the chasing three competitors closed the gap to Mike – the top four were separated by a mere 1.7 seconds at the flag. The Masters category will be a tight one this year! For high-definition video of the Final, please click on the following link. Last but not least, the 2016 OGKC Rental Kart Challenge started off with a fantastic race, with last year’s champion Jonathan Séguin taking the top step of the podium! As the rain started lightly falling, the track became slippery in several areas – enabling Jackie Chun to close down the gap to the leader significantly over the final few laps. The third place finisher was Maxime Séguin, who made his racing debut in the series. The next rental race will be June 12th, and we expect it to be another great one! Congratulations to all of the racers that made the podium, and a big thank you to everyone that participated in Race #1 of the 2016 OGKC! Great job everyone! Also thanks to Race Director Jason Bolton, the track marshals, the great support staff at Le Circuit Quyon, and First Aid personnel for working throughout the day to keep the racers safe during the event. The next race is scheduled for the May 28th-29th weekend, tentatively scheduled (to be confirmed) for Karter’s Korners. This is planned to be a multi-club event, with participants from both the OGKC and the National Capital Kart Club (NCKC) in attendance. More information on Race #2 of the OGKC will be posted shortly, once the venue is confirmed. Race #2 of the OGKC Rental Kart Challenge is scheduled for June 12th. Please click here for more information on the rental series. See you back on track in a few weeks! PS The 2016 championship standings can be viewed here. Previous Post2016 OGKC Rental Kart Series – Race Day Information!Next PostRace #2 – Online Registration Now Open!!! !